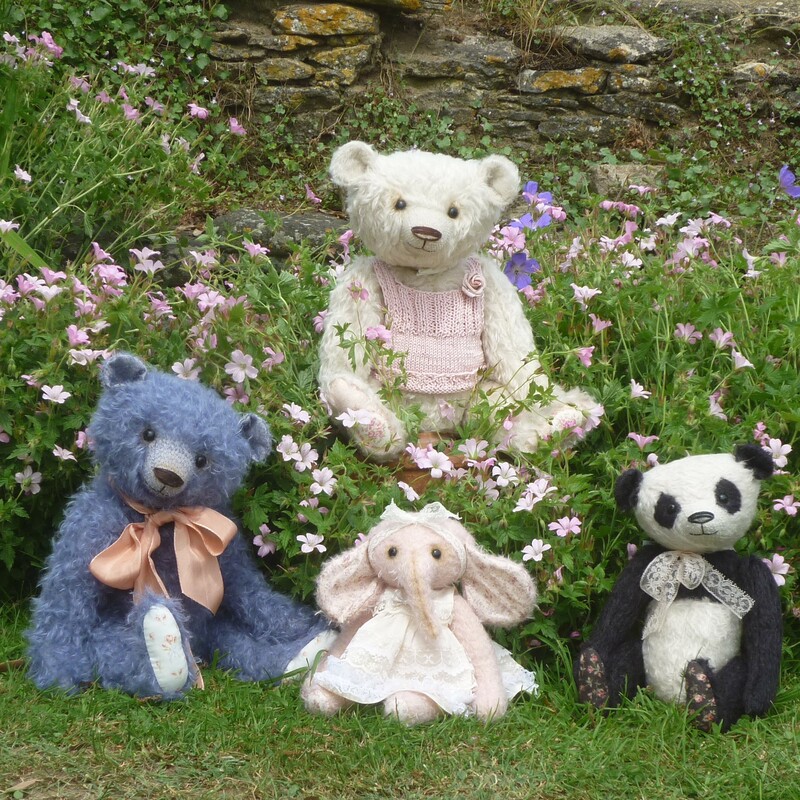 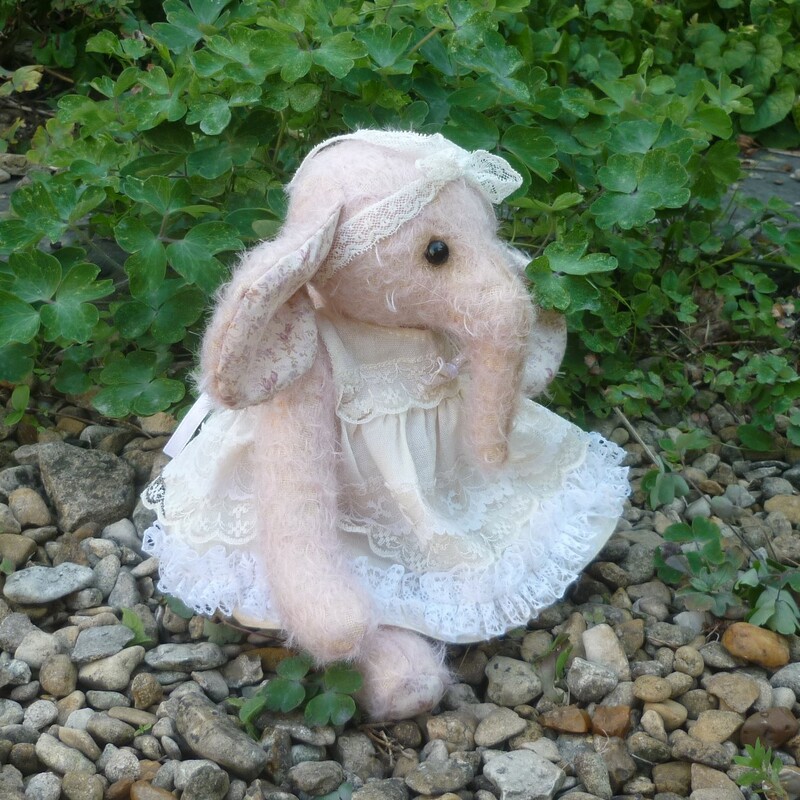 This ultra-sparse, pale pink mohair elephant wears a lace headband and a lace-trimmed, cream dress. Her rose-printed inner ears match her footpads. 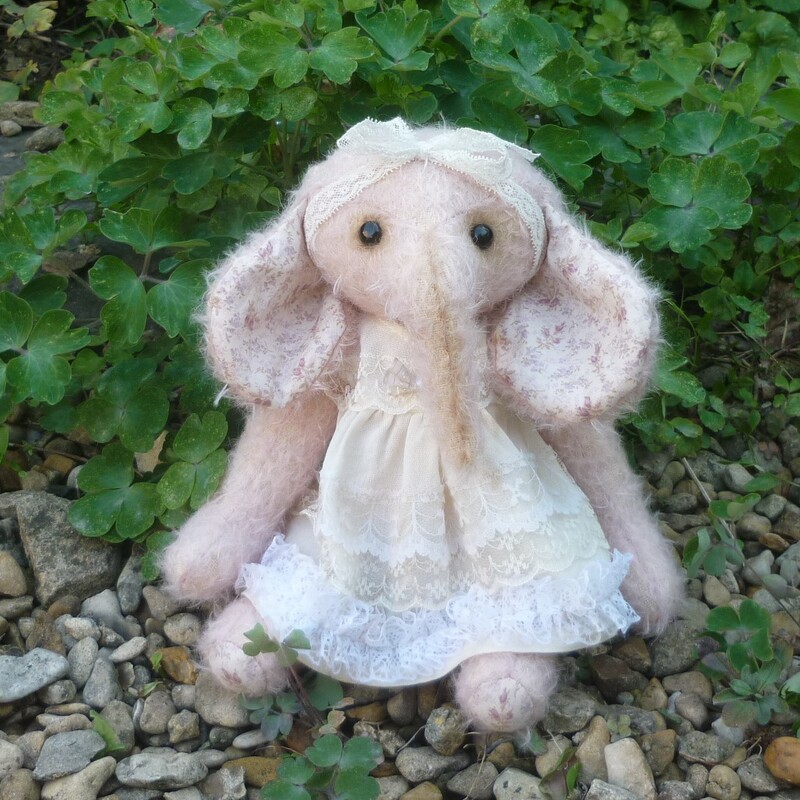 With subtle painted detail around her black glass eyes, she is softly filled with polyfibre and weighted with glass granules.